A lot of new car buyers are very concerned with what they pay for their new Honda vehicles upfront, but there’s another car value they should be worrying about when making a decision about which model to buy: the value of the car when they’re ready to sell it. While it’s true that nearly all cars depreciate in value over time, the reality is that not all models see depreciation at the same rate. 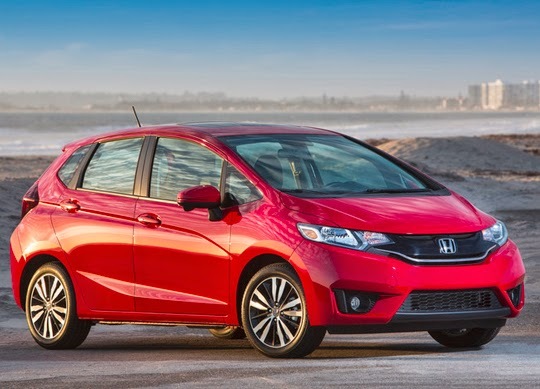 Some vehicles, like the 2015 Honda Fit and 2015 Honda CR-V, are projected to hold their value better than other cars in their segments, and that’s important because when a customer decides to sell his or her car, a higher residual value can mean lower monthly payments for the new vehicle after trade-in. The Fit and CR-V actually have such great projected value retention that Kelley Blue Book recently gave them Best Resale Value Awards for the categories of Subcomact Car and Top 10, respectively. The projections are based on the KBB Official Residual Value Guide, which makes an educated estimate as to what percent of the MSRP a car will maintain after five years of ownership. The Fit and CR-V clearly did quite well, hence the strong finish. As your San Diego Honda dealership, we pride ourselves on selling vehicles that are high enough quality and reliable enough to remain in high demand even years after they were originally released. That’s what is behind these high residual values, and these high residual values are part of what make Honda vehicles so great.